Humans are heading to PRIMUS VITA to get our water back. 2353 - The Shatters came on Earth from the planet Primus Vita and stole our water. 2353-3036 - We survived, discovering deep sources of water. But the reserves are almost exhausted; we are sending our first troups on Primus Vita. 3044 - Crew 121 is sent on Primus Vita to get the water back. Fight the Shatters. To survive cryo-sleep state during the trip and to be in optimal shape when they’ll land on Primus Vita, all passengers are submitted to a complete simulation, elaborated by NIM, the AI on the spaceship. Live the adventure with our Crew! Destination Primus Vita was made possible with the great help of the Canada Media Fund. Destination Primus Vita a été rendu possible par l’aide apportée par le Fonds des médias du Canada. Pumpkinberry, our number ONE fan, playing our game. It makes us cry to see someone cry playing our game. 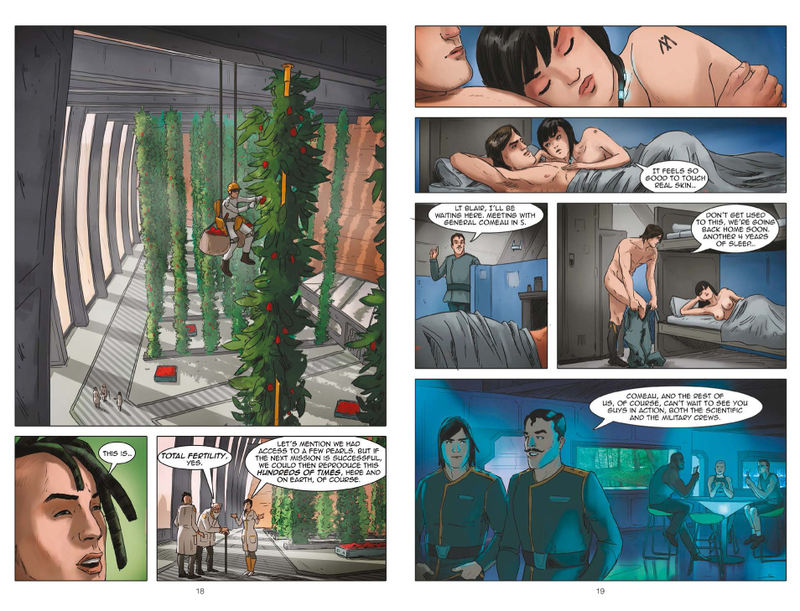 The comic book series start when Crew 121 lands on Primus Vita.